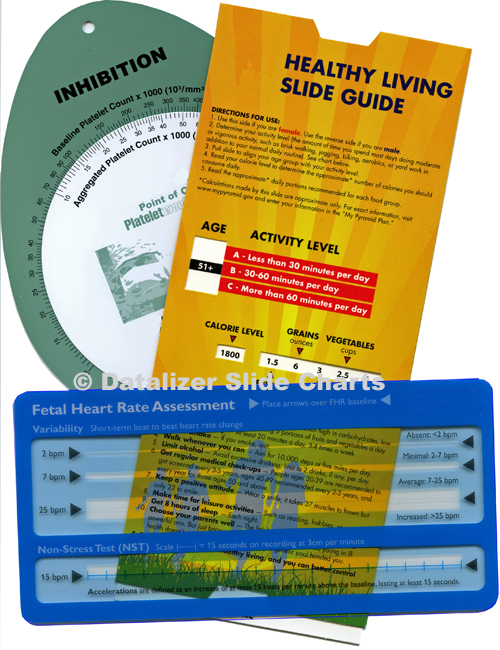 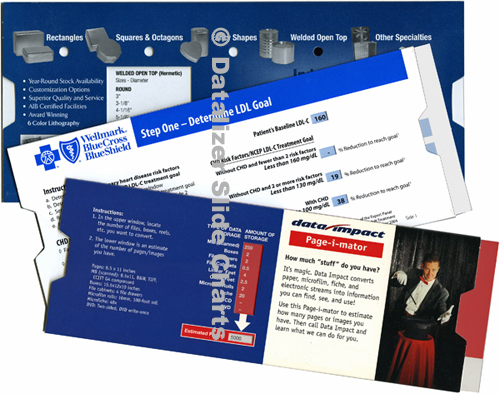 Slide Chart Reference Tools are designed for convenience and durability. 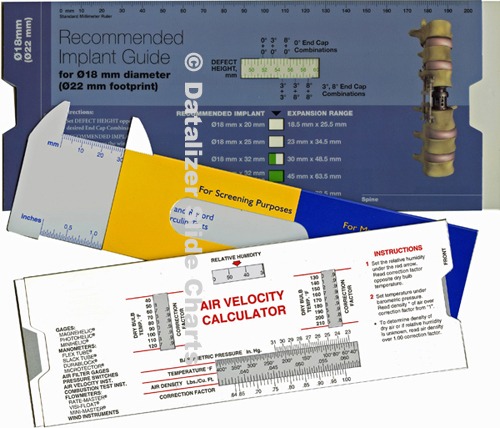 Click on the product images below for a closer look. 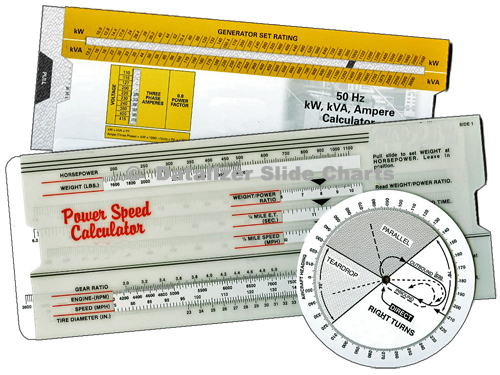 Custom Slide Chart Reference Tools are easier to use than conventional slide rules, more convenient than electronic calculators, and less expensive than computers and smart phones.